Soft and substantial cotton valance with a lovely texture! 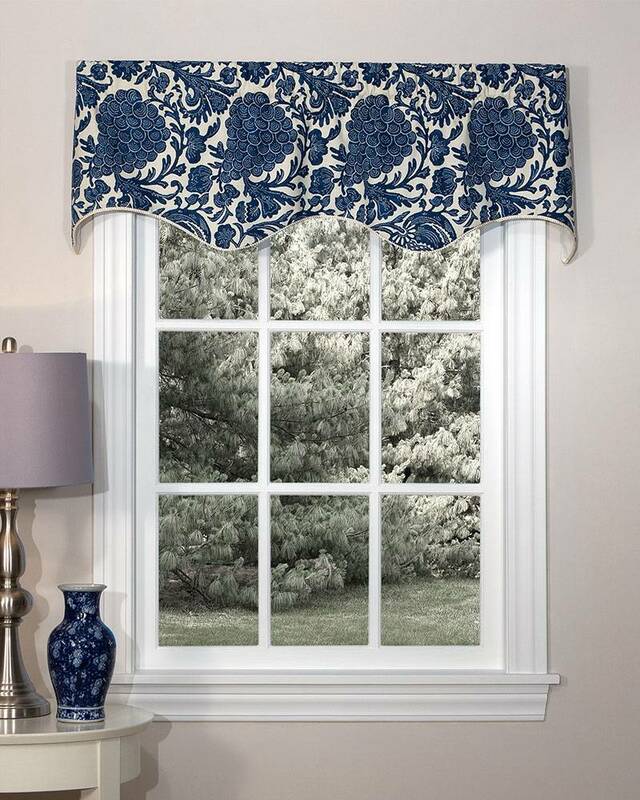 The Batik Lined Scalloped Valance showcases rich indigo color patterned on an off white ground. Exceptionally versatile, this meticulously handcrafted valance will harmonize beautifully with so many decorating styles. A twisted braid trim running along the gracefully scalloped bottom of the valance adds the perfect finishing touch. Made in the USA.